Today is varuthini ekadashi when Lord Vishnu is worshipped in His avatara form as Vamana. Hence I pay my loving homage to one sadhu of our Order who was an ardent devotee of Sri Hari. 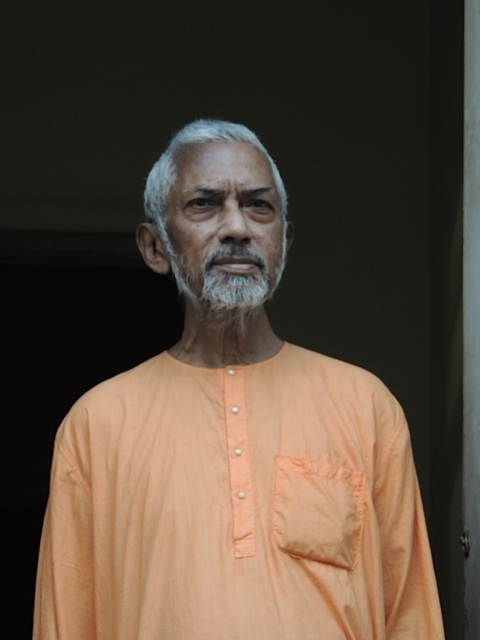 Swami Purananandaji (Sunil Maharaj) passed away on 12 February at 2.15 am at Seva Pratishthan, Kolkata. He was 84 and had been suffering from chronic kidney disease and diabetes for some years. Initiated by Swami Shankaranandaji, he joined the Order in 1951 at Belur Math and had Sannyasa from his Guru in 1961. Besides Belur Math, he served at Patna, Mumbai and Gol Park centres as an assistant, and Kanpur, Mauritius (for a short period), Puri Mission, Cossipore and Barasat centres as Head. He had been living a retired life for about six years at Gol Park centre. The Swami was a good singer and an impressive speaker and was known for his gentlemanly manners. Soft spoken and amiable by nature, he endeared himself to all those who came in contact with him. Even after seeing many deaths in close proximity during my more than four decades of organisational life (all along I was somehow posted in hospital centres), the inevitable always holds my attention in a mysterious manner. The news of the passing away of the respected Swami Purananandaji Maharaj made me more introspective. It was my good fortune that by the grace of our Master, I could join Kanpur ashram and could live, albeit a short four and half years, with a sadhu who appeared to be unparalleled to me. I asked him before leaving for my learning at Brahmacharins’ Training Centre to tell me about some of his personal anecdotes before he came into the Order. He said sweetly that I should not bother about knowing of his past as he was merely a nondescript. If he was really nondescript as he claimed, the Order then made him nonpareil. The foremost characteristic of this sadhu that comes to my mind is his utterly humble nature. When I would in my audacity comment on his humility as bordering the vaishnavite, he would never fail to rejoin “How can I explain the joy of Harinam?”. It made sense to me much later that unless one gets the joy in repeating the name of God, humility can never be one’s possession. As a new entrant into the Order, I was as often happens asked to take up the puja work to develop devotion to Master. There was an elderly Pujari Maharaj who needed assistance too. He was an expert in the art of decoration of the holy altar. Performing puja in the shrine gave me immense satisfaction. And Purananandaji taught me the intricate rituals only after I learnt by heart all the puja mantras. It was a joyful experience to learn under him as he would not only explain the rituals but also expound the inner meaning of those rituals. One day after the lunch prasad, when I had retired to my room for the usual quota of noon siesta, I heard a knock on my door. It was highly sultry in the summer, and as there was no electricity the fan could not be turned on. So with just a ‘gamcha‘ around me I opened the door. There he was standing. He was the Head of the centre during those days. He asked me “Would you mind please going to the Bank now as some urgent matters have to be attended?” I replied, “Maharaj I am only a Brahmachari. Why should you be so polite to tell me like this? Just please order me and I would gladly do any work at any time.” His humble way of not disturbing a Brahmachari after the lunch hours made a deep impression on me. A discussion came up at one night class among the brahmacharins as to what one should pray. Obviously every one agreed including a few senior sadhus that we all should pray for only devotion, detachment and knowledge. It was Revered Maharaj who pointed out that we should also ask for secular knowledge – only to that extent which can be put to use in the performance of Master’s work. Hindi was not my subject in school days. Hence I found it hard to communicate with devotees and also the public who frequented our Kanpur ashram. Those were the years when there was not only an apathy but also some sort of ‘hatred’ towards speaking English in public places. Understanding my difficulties, Revered maharaj taught me the conversational Hindi very quickly. He made me go through the writings of Sri Hanuman Prasad Poddarji whose articles used to appear in the famous monthly magazine Kalyan published by the Gita Press. I think I have not come across any other person, writing on spiritual subjects, in Hindi so clearly, in a simple style and understandable even to the learners of Hindi. They were fascinating in meaning as well as in the use of language. I found joy in learning the language by studying the magazine! 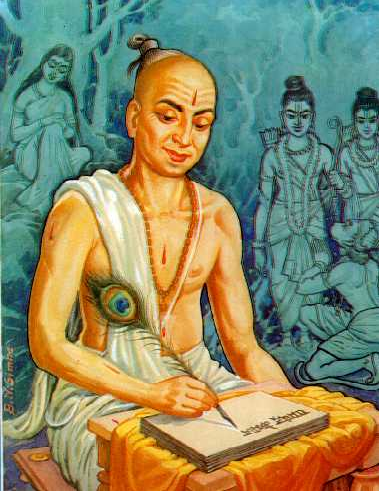 Even today by the munificence of Sri Nandlal Tantia, one of our devotees in India, I receive a copy of the Kalyan every month by post! I noticed that Revered Maharaj had scholarly interest in Tulsi Ramayan as well as in Adhyatma Ramayana as he was equally facile in Hindi and Sanskrit. 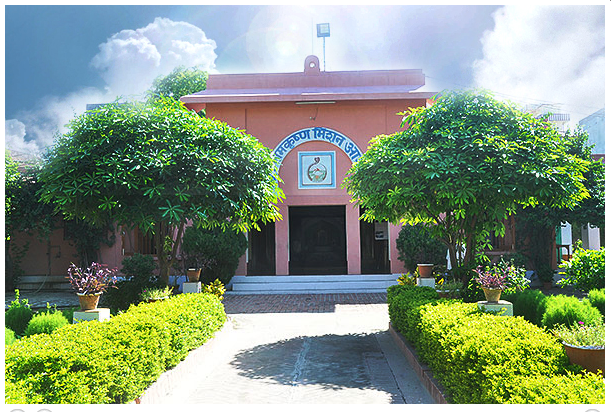 I would avidly attend all his classes at the Kanpur Ashram’s beautiful shrine hall as they would open to me the doors of insights into the scriptures. One thing I could understand was this: the words of shastras have always an internal meaning that can be communicated only when a person is a sincere sadhaka. A scholarly exposition many can make (I felt it was like eating saltless meal!) but revealing the spiritual import is possible only for a profound striver. His set routine to sit and meditate was a classic example for all the brahmacharins there. For the first time I heard from him about a saint by name Sri Ramkinkarji. I am eternally indebted to this Swami for this generous act of goading me to study the books of Sri Ramkinkarji. Effortlessly I became a ‘fan’ of him because his fabulous explanations ‘fanned’ my interest in learning a few concepts from the Tulsi Ramayan. They help me in my personal spiritual practices. Later from Ranchi I used to visit Gol Park centre in Kolkata only to see Revered Maharaj and whenever it was coincided, I would not fail to attend his class. He was of course greatly pleased with my presence and would always tell other devotees painting me in the most (undeserving) glorious terms! I had an opportunity to visit Puri when he was the Head of the Mission branch. Undoubtedly he was very pleased to have me at his centre. 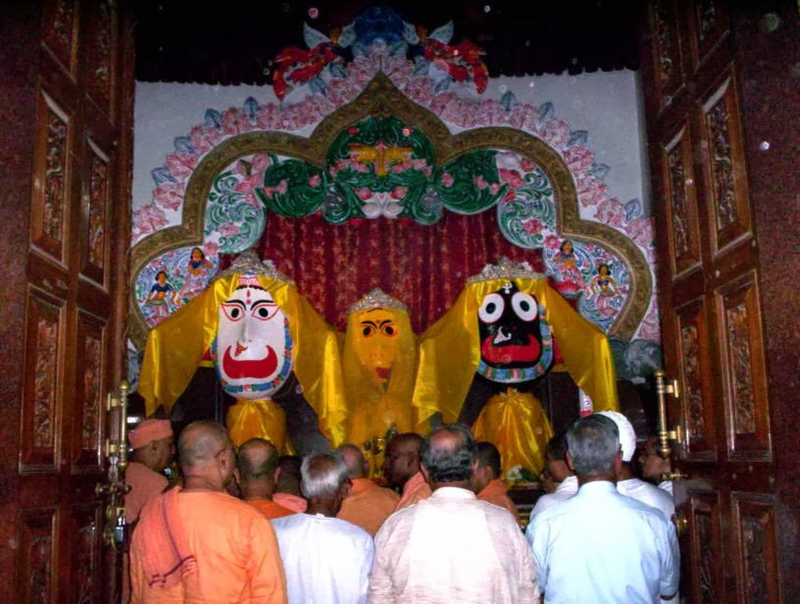 He instructed the respected Ashram Panda to take me for the darshan of Lord Jagannatha. I thanked Revered Maharaj for all the arrangements that he did for me and quipped to him that he was in the right place as he was a vishnu-bhakta! He replied solemnly that Lord Jagannatha in His infinite mercy brought him there to savour His mahaprasad daily. He explained to me at that juncture about the utmost veneration that Master and Mother had for Jagannath mahaprasad. So forceful was his narration that it made deep impression on my mind. Even now staying in far away South Africa, I do partake one or two dana (grains) of that mahaprasad which is also called ‘Nirmalya’. 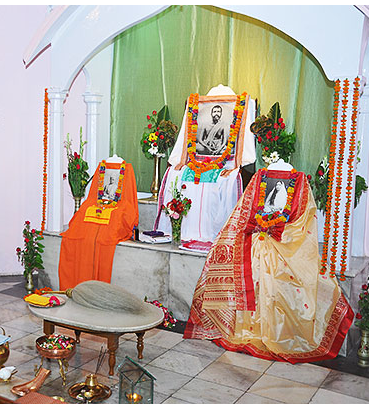 Whenever I would come to Kolkata from Itanagar or when I was posted in Seva Pratishthan in Kolkata itself, it was my pleasure to be with him in Cossipore and spend at least three nights there just to have his holy company. The conversations were never of worldly nature but always centred around Master, Mother and Swamiji. Once I travelled to Mumbai from Itanagar. I was there in connection with the import of some medical equipment that had to be taken delivery of at the airport. At the ashram the Swami was happy to receive me and showed me my room. Somehow I would rush from my work before the evening arati started only to listen to his mellifluous singing. During my Kanpur stay I had really enjoyed his singing style which was layered with his love for the Master. So I just lamented to him saying that how I was deprived of the listening pleasure while the Mumbai devotees were blessed to hear him day in and day out! In his unique jocular way he smilingly replied that after finishing two or three songs, he would just turn around to see whether devotees were pleased or not and invariably they would sport a broad smile by which he understood that they had enjoyed his music. Only after a long time, he added covering his mouth by his palm, that he realised to his dismay the smile on the devotees’ lips was not due to their liking his singing but to the relief they felt when he concluded his singing! It took me some time to understand why my mind during my visits to Kolkata would not be set at rest until I met him. I would often wonder whether our generation could rise to such high levels of humility, practice of swadhyaya (self-study) and above all in pouring unbounded love to the recalcitrant juniors! Swami Purananandaji was a sadhu nonpareil. Wonderful lucid narration about Srimat Swami Purananandaji Maharaj (Revered Sunil Maharaj). He had immense love and care for the devotees visiting Ashrama. My salutations to the great humble and unassuming personality. You have spent long association with him and how he was warm to the feelings of monks and devotees was a fact that is now legendary. Yes, he was absolutely unassuming by nature and that endeared him to all. Just by reading these wonderful accounts of the pure and devout lives of the devotees of God is in itself like a japam. Well said! The act of remembrance of the great souls who walked on this earth and ‘lived’ the Life is indeed a spiritual practice recommended by our saints. Thank you for sharing your experiences you had with The Swami. I suppose we can take a lesson from this. We should be alive to the sterling character of holy men and make every endeavor to emulate them in every possible way in order to grow spiritually. Bless us always that even if we stray, we never move too far from the Goal. Yes, from great lives, we can definitely learn many lessons. Perhaps merely emulating them may not be conducive to us as we are all born with different tendencies. What is needed is to chisel our life from the lessons learnt from their life situations with those spiritual principles. That will keep us nearer to our goal. I read with interest and reverence your detailed account about Pujya Sunil Maharaj. I was also fortunate to see him in Kanpur Ashram in 1975 and later in Institute of Culture apart from Mumbai Ashram. Undoubtedly he was a great soul and very amiable. We miss him indeed. Yes, he did tell me sometimes about your meeting him. He was impressed with your humble approach towards him. Thank you for the pointers on secular knowledge and also for the explanation of the term: Nirmalya. I have cloth bag of these holy grains from Jagannath Puri and will try to remember to have one or two from tomorrow on. Yes, there is a general tendency to ‘run down’ the secular knowledge while one is in pursuit of spiritual knowledge. Revered Late Purananandaji used to tell us that the former is also necessary in view of ‘running’ an organisation. But as there is no end to any type of knowledge how much one should acquire in the former becomes a moot question. Thats why his sagacious advice was to pray to Sri Thakur to bestow so much with which we could perform His work efficiently and also disinterestedly. Its very good to carry the small cloth bag of holy grains and take one or two daana every day. It purifies the body and mind and help us in keeping spiritual thoughts. ‘Nirmalya‘ refers not only to this; anything like flowers when offered also can be called nirmalya. The word comes from Nirmala – no mala that means no impurity. Thank you for giving us the information about the life style of Revered Swami Purananandaji Maharaj! In Belur Math website, I have seen the last photo of the great monk. Swamiji was a good singer and impressive speaker. Also I came to know that he endeared himself to all those who came in contact with him. My prayers for that great soul. Our glorious Order has had and is having wonderful monks who work on silently like the dawn dues, unseen and unsung. Many thanks for your inspiring article! We are ever assured by Khoka Maharaj‘s last prayer ‘May the blessings of Sri Guru Maharaj be always on our order’. Indeed Khoka Maharaj‘s earnest prayer is being fulfilled by Sri Thakur. I went through your writings about Swami Purananandaji Maharaj and I could not but to write you. I have met him in my tender age when I was reading in class VIII at Ramakrishna Mission Students’ Home, Puri, Odisha. A man of calmness like deep ocean, having a Prashant Gambhira Mukhamandala. Before him I got Swami Tattwasthananda as my head – a man of dynamism. Then Swami Purananandaji came as our head, just opposite to him, Dhir-Sthir. One day when I was in 1st floor and he was passing through the path in ground floor, I threw some dirty water over his head – of course unknowingly! He came to me slow but steady and advised me to a frightened face, “Work carefully, always keep open your eyes and ears and look front and back.” Though I could not get a chance of intimacy in my later age, but I always remember his Sadhaka Murty – a man of Vedanta. Due to you I got a chance to offer a flower of love at his feet.